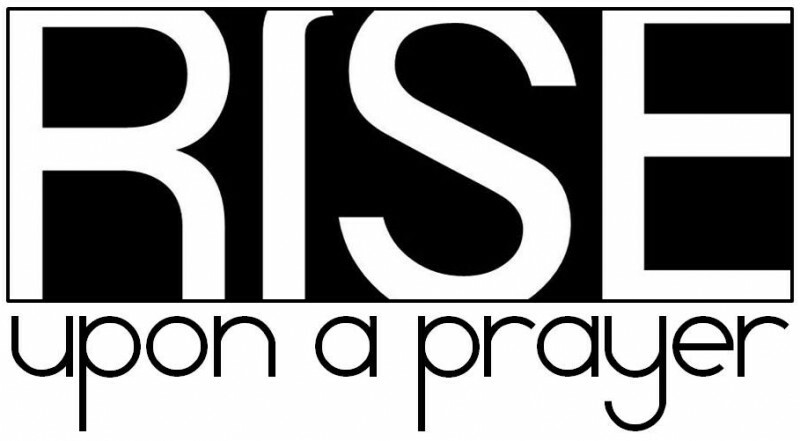 For the first official challenge of Rise Upon a Prayer, I believe the best place to begin would be through Prayer. Prayer is an incredible life changing experience that will revolutionize the way you live your life. But before we dive right into the exercise entitled “Lift Off,” we need to first understand why Prayer is so important, and who better to illustrate that than Jesus. 7“Then the one inside answers, ‘Don’t bother me. The door is already locked, and my children are with me in bed. I can’t get up and give you anything.’ 8I tell you, though he will not get up and give him the bread because he is his friend, yet because of the man’s boldnesse he will get up and give him as much as he needs. I’m no spiritual leader nor I am an expert on dealing with issues that revolve around the pressures of life. But what I do know is how to pick myself back up when I’ve fallen. We’ve all made mistakes and I’ve failed more times than I could count, but God has shown me that I can be better than what the world wants me to be & he gives one more chance each day too prove it. Than I hear a voice whisper, “How could you ever think you could become better and overcome your situation, your not strong enough and you never will be? How can someone like you make a difference in someone else’s life when you can’t even get it right yourself? Those voices are spoken from an enemy who wants nothing more than to watch us fail, and in a world full of hatred, it can be very difficult to hear the voice of truth calling out to all of us. There will always be someone or something to keep us from God’s best, but it’s through Prayer, that we may find the strength to ignore the inner & outer voices that tell us we can’t when we know we can. No one on this Earth can solve all of our problems completely; God is the only one equipped to handle such a task; to take what is broken and transform it into something more beautiful than ever before. All we need to do is open ours hearts and receive it. So how do we begin this challenge? First we need to learn to forgive ourselves for the self inflicted continual beating we have learned to live with based around all the past mistakes, bad decisions, heartbreak, missed out opportunities, what her or she didn’t do & all the insecurities that go along with it that keep us from receiving God’s best. Whether the pain was brought on by you or it was inflicted upon you, God has already chosen to forgive you. That’s why he died, so you could live and be free. He’s just waiting on you to forgive yourself so that you can receive all the blessings in the world that are meant for you. So if your ready I’m ready, lets LIFT OFF together. I had to add that in somewhere. What you will need for this challenge are three things; a balloon with helium & a string, a piece of paper with a hole punched into it and a pen or pencil. If your ready to take the first step forward into a new life for yourself than what I want you to do is write down all your worries, your prayers, the mistakes you’ve made, whatever it is that you feel you need to let go of or ask for. Once your finished, tie the note or the pieces of paper to the ballon and release it into the sky. I’ll even do it with you. I promise! After you release it, watch as it flies higher into the sky. It peaceful. It’s free. And by taking this first step of faith and giving it all to God, so are you. I promise you my friend, your journey is just beginning. Good Luck and God Bless You!